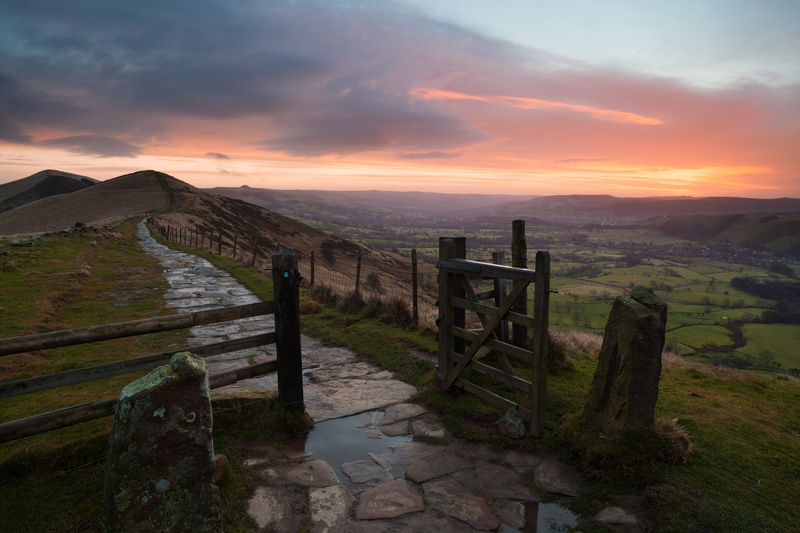 Centrally located in the National Park is the Hope Valley, a large, wide valley running east-west along the boundary between the gritstone moors and edges of the 'Dark Peak' and the limestone outcrops and deep cut dales of the 'White Peak'. Best known as wonderful walking country, it is also a haven for bikers, pony trekkers, hang-gliders, rock climbers and potholers as well as for the quieter activities of artists, anglers and birdwatchers. The main villages in the valley are Castleton to the west, Hope which is centrally located in the Valley and Hathersage to the east. Manchester lies some 30 miles to the west of Hope and Sheffield just 13 miles to the east with the rail link between these two great cities passing through much of the valley with stations at Hope, Bamford and Hathersage. Check out the weather in the Hope Valley, now and the forecast for the next 14 days.